Nikhil Batra is a Research Manager for the regional telecommunications team in IDC Asia/Pacific. Based in Australia, Nikhil focuses on Telecom Operator Strategies and Managed Cloud/ICT Services across the AP region. As the Research Manager, Nikhil works with the regional telecom teams to produce intelligence reports, market insights, and contributes to various consulting projects. Lucas Goh is a seasoned IT executive with 10+ years of experience in IT operations and infrastructure management at global manufacturing companies. Lucas currently is the IT Director, Infrastructure and Operations at Volex, and is responsible for design, deployment, configuration and maintenance of the entire IT Infrastructure landscape and operations across the Volex group of companies. Shehzad is Director of Marketing at Aryaka. He leads public and analyst relations globally and demand generation as well as partner marketing activities for the Asia-Pacific region. 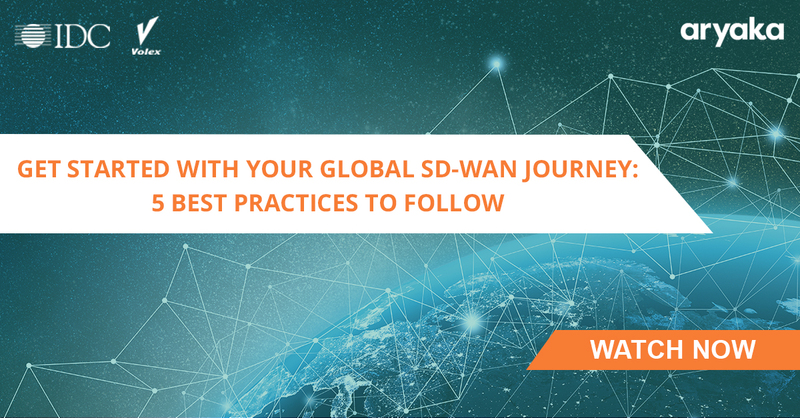 Shehzad is an SD-WAN evangelist and often participates in webinars, events and discussions on the subject.